One of the biggest questions asked by persons who want to sell on eBay is “what should I sell”? You don’t want to be selling something that everyone else is selling that has little or no profit potential and you don’t want to be selling something that no one is buying either. In this article I’m going to link you to some markets that are proven to be just right for you to start with right now on eBay. The research was recently done to show that these products have a high success rate on eBay with low competition and great profit potential. The information was sourced from the Salehoo blog and the research was done using their excellent Market Research Lab tool that members can use to find profitable markets. Here are 5 products you can sell right now on eBay. This women’s purse staple is a good item to sell on eBay with almost twice the total bids than there are listings. Competition for the product is very low and the items are small so they’re easy to ship and also low cost. They’re the perfect item to sell on eBay with an average sale price of about $12.26 per unit. You can find suppliers through the Salehoo directory that are able to drop ship and sell at wholesale prices in the United States as well as Great Britain among others. A few months ago, I read a news item about a taxi driver who was nearly locked up for the sexual assault of a female passenger. He usually has a hidden camera recording while he went about his work but on that fateful night his camera stopped working but he was saved by a smartphone app he had running while driving home the passenger who as it turned out fabricated the whole story. Personal security is very important for lots of people and the hidden cameras have all types of good uses (and some unethical ones too) which makes it a great item to sell on eBay. Hidden cameras are being made very tiny nowadays and the average price is around $100 but varies depending on brand, features and other factors. With almost 6 times the number of bids on eBay than there are listings, there is definitely room for selling hidden cameras at a profitable rate. This is another great market that is hot with the health conscious and alternative health crowd. Virgin coconut oil has been known to have positive effects on weight loss, anti-aging, Alzheimer’s and a host of other diseases and conditions. According to the research labs at Salehoo, the competition is low for this type of product with over 4 times the number of bids than there are listings. The average price for the product is about $18 and it has an eBay success rate of 63% which is a strong indicator that virgin coconut oil sells very well on eBay. There are wholesale sources in the United States and Vanuatu just to name a few places that have no minimum order. Bluetooth mouse (mice?) 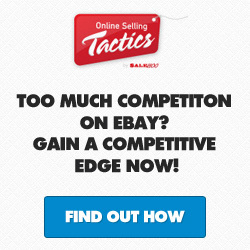 sell very well on eBay with a success rate of 63% (anything above 50% is a winner). This is a good product to sell to laptop users and even desktop users because it eliminates the need for wires and adds convenience for those that aren’t fans of laptop’s touch pad. Competition is low with about 4 times the number of bids for the items than there are listings and the product can be sourced from wholesale suppliers for under $20 per unit. Mountain biking is a hot niche that you can make money online with whether you’re selling mountain bikes, mountain bike pedals or even information on the subject. On eBay, mountain bike pedals is a low competition niche market that you can use to start making money on the popular auction site. It has a success rate of 58% and there is definitely high demand for these items with over 4 times the number of bids than there are listings. These are just 5 items that you can start selling on eBay that are proven to have low competition and high success rates. You can find wholesale suppliers and drop shippers for all these items on the Salehoo directory and do check out the Salehoo blog for more ideas on what to sell.